"The night air was cool with a slight February nip to it. The streets were busy with people heading towards their various Friday night activities. Street lights were starting to come on and the city was switching to its nighttime wonderment. The building lights made the city look as if it were made of stars while the darkness of the uncultivated land outside the city made it seem as if the city was an island…alone in the world, the only place left on Earth. And through all this, I could almost feel the might of Neo-Geo Mountain like some giant more powerful than the mechanisms of man lurking and waiting." 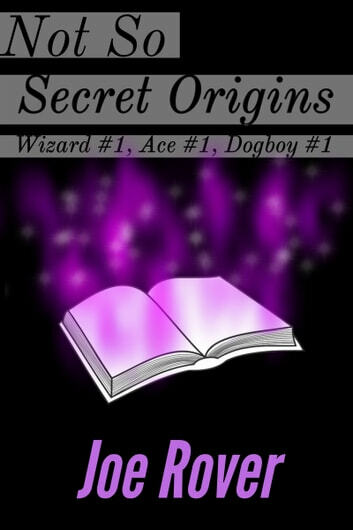 This “box set” book contains the teaser stories from the Wizard of New Town, Life of Ace Journeyman, and Dogboy Reborn series. Find out how it all began for Max, Ace, and Joe. Wizard of New Town: Max wakes up to discover the modern world is slowly merging with the past. Soon he learns he was chosen to stop it. Life of Ace Journeyman: While trying to solve the mystery of his father’s disappearance, Ace discovers his special powers. Dogboy Reborn: Joe’s been retired from heroing for five years, but evil never rests and he must once again take up the Dogboy mantle.